When I wasn’t attending steampunk conventions, working on novels or earning my platinum trophy in Skyrim, I spent my summertime watching documentaries about SF/F and fandom. Here are a few of my favorites. 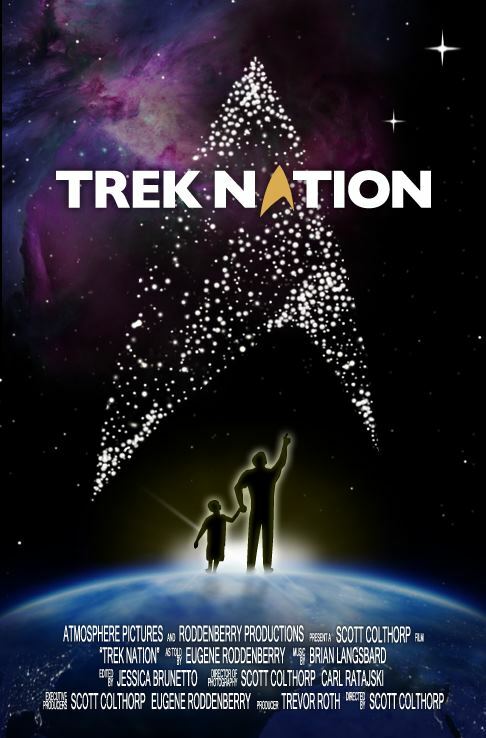 TREK NATION (2011) is Eugene “Rod” Roddenberry’s touching journey of discovery about Star Trek and his father, who died when Rod was 17. Includes interviews with his mother Majel Barrett, George Lucas, Wil Wheaton and others who worked on the original Star Trek and the Next Generation. View it on Netflix streaming, Amazon or on at the Science Channel website. COMIC-CON EPISODE IV: A FAN’S HOPE (2010) includes coverage of San Diego Comic-Con and commentary by Frank Miller, Kevin Smith, Matt Groening, Seth Rogen, Eli Roth and others who share their feelings about what it means to be a geek. Available on Hulu and Amazon. Presented by Stan Lee and Joss Whedon, this one also follows the lives of five attendees looking to win cosplay prizes, land a job, propose marriage, sell a rare comic book, and become a comic book artist. THE PEOPLE VS. GEORGE LUCAS (2010) explores the love/hate relationship between the creator of Star Wars and his fans, asking the question: Who really owns pop culture, the author of the universe or the fans who love it? Combines interviews taken from over 600 hours of footage with fan-made Star Wars and Indiana Jones material in song, needlepoint, Lego, claymation, puppets and paper-mâché. Available on Netflix streaming and Amazon as of this writing. Not a documentary but it might as well be, GAMERS: HANDS OF FATE (2013) is the third in the Gamers series by Dead Gentlemen Productions. Filmed at Gen Con Indy, a real gaming convention, and funded by over 4000 Kickstarter backers (I’m one of them), this docufiction follows RPG-player and snarkass Cass as he enters the cutthroat world of collectible card games to win a date with Natalie, a championship player. Includes geek references, humor, and some of the issues facing women in SF/F, comics and gaming. NOTHING TO PROVE is a musical montage of real geeks by the Doubleclicks. Gets me right in the feels. Every. Time. Also worth mentioning is DONE THE IMPOSSIBLE (2006) about the rise, fall and rebirth of the cult television show Firefly as told from the perspective of the fans aka Browncoats. I purchased a copy on DVD several years ago, but recently noticed it’s on Netflix streaming. J.L. Hilton is the author of the Stellarnet Series published by Carina Press, including Stellarnet Rebel (January 2012) and Stellarnet Prince (November 2012), and is a regular contributor to the Contact-Infinite Futures blog. She also creates cool wearable things that are featured in the books Steampunk Style Jewelry and 1000 Steampunk Creations. Visit her at JLHilton.com or follow her on Google+, Facebook, Twitter, Tumblr, Goodreads and deviantART.